Afghanistan on Monday marked National Journalists Day amid a spike in violence that has already seen four media workers killed so far this year in one of the most dangerous countries in the world for the press. Gunmen killed Sultan Mahmood Khairkhaw, a journalist working for a private TV channel and radio station in southeastern Khost province, on Friday – the latest media worker to be killed in the war-torn country, which saw its deadliest year on record for journalists in 2018. The attack on Khairkhaw came two days after another journalist was seriously wounded when a sticky bomb ripped through his vehicle in southern Helmand province. “Freedom of expression is the most important achievement for us,” Sarwar Danish, Afghanistan’s second vice president told a gathering of journalists in Kabul. “During the Taliban regime … any voice would be considered against their movement. And it is not acceptable to us to put people under censorship and pressure anymore,” he said. Since the fall of the Taliban regime in 2001, Afghanistan’s media has been one of the country’s few success stories. Hundreds of free media organizations have mushroomed, giving rise to a lively and largely free press – something that had never before existed in the country’s history. The media landscape in Afghanistan today includes over 100 TV channels, 284 radio stations, and just over 400 newspapers and magazines, according to a recent government report. Most of the outlets are private. But growing violence has made the country one of the most dangerous environments for the media. Last month, two journalists were shot and killed when gunmen stormed their radio station in Taloqan, the capital of Takhar province in north-east Afghanistan. The pair, both men in their 20s, worked for Radio Hamsada, a private broadcaster. In January, Afghan citizen journalist Jawid Noori was snatched from his car and murdered by the Taliban in Farah province, in the country’s west. Media watchdog group Reporters Without Borders (RSF) reported that 2018 was the deadliest year on record for journalists in Afghanistan. “Eighteen journalists lost their lives in the line of duty last year,” Danish said. According to RSF, 60 journalists and media workers have been killed in Afghanistan since the U.S.-led invasion in 2001 – an average of around three a year. 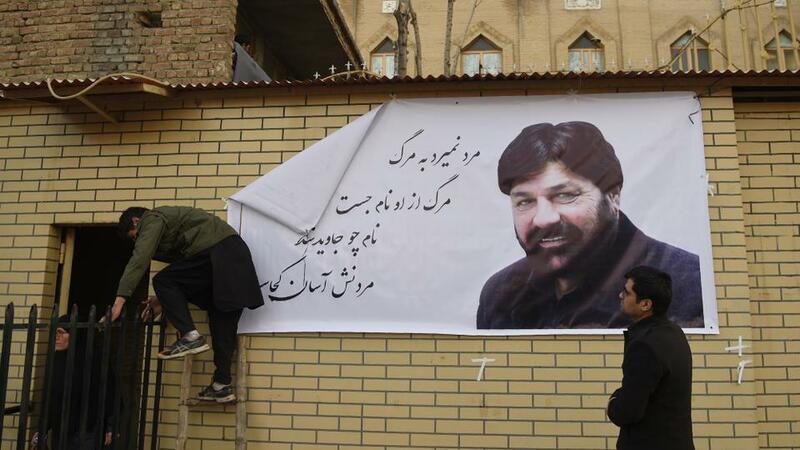 Afghanistan mourned the death of one of its most treasured celebrities, comedian Hanif Hamgam, known for ridiculing the powerful in a region where poking fun at warlords is no laughing matter. Hamgam’s daily show “Zang Khatar” (The Alarm Bell), which aired on Afghanistan’s largest private TV channel Tolo from 2007-2013, was so popular that squadron leaders on the front line against the Taliban would demand televisions so as not to miss an episode. “After the fall of the Taliban (in 2001) and freedom of media, his show was the first that critically looked at important issues,” his old friend and Zang Khatar colleague Nehmat Haidari told AFP.